recommended for: Fans of Simon vs The Homo-Sapiens Agenda by Becky Albertallli, The DUFF by Kodi Kepplinger, and Geek Girl by Holly Smale. I'm going to let you in on a secret. Beneath my cynical, snarky veneer, there is a hopeless romantic who delights in the fluffy and fun. I know. I was shocked too. So, after Stacey bowled me over with Outrun the Moon, there was little chance I'd read this book and not love it. I just didn't anticipate how much. 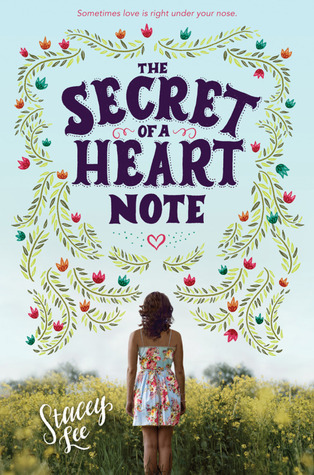 With a quirky plot, strong characters, and heartfelt optimism, The Secret of a Heart Note is the perfect lighthearted contemporary--with a touch of fantasy. Mim is an aromateur. Like her mother, she can smell emotions and bottle love--but she can never fall in love, or she'll end up with a useless, ordinary nose like her estranged aunt. She never thought she'd be in danger, until the day she accidentally gives a classmate's mother a love elixir meant for someone else. That classmate, soccer star Court, becomes her partner in crime as she schemes to undo the magic before her mother finds out and grounds her for the rest of eternity. Oh, and there's the little nuisance of Court's ex, who threatens to out Mim's best friend if Mim doesn't help her re-snag Court's affections. If it sounds like a Disney Channel Original Movie, that's because it could be, in the best possible way. It's hilarious and light from page one, peppered with smell-related swearing and perfume-y puns that let you know it doesn't take itself too seriously. There are elements, like Mim basically being able to skip school without consequences, that would never fly in a more realistic setting. But, with magical super sniffers, we're not in a realistic setting; suspend a little disbelief and it's a wildly fun adventure. But that doesn't mean it's without substance. The heart note of the book (chortle) is in its characters. Mim is sheltered in some ways but shockingly pragmatic and worldly in others, with an awkward bluntness that was both endearing and hysterical. Her relationship with her mother is surprisingly fraught; her mother is obsessively career-focused, where "career" means "aromateur" and any other parts of life (friends, school, boys) are just chaff. This creates friction for Mim, who worries that her mother only loves her as a perfume-making, not a daughter. The importance of family is a huge theme across the novel, weaving its way into Court's mother and sister as well. All the adults are lovely and well-meaning (though still flawed! ), which is a nice change from the usual clueless or cruel YA set. I did wish we had more of Kali, Mim's best friend. She's a proud Samoan girl and secretly gay. She's fierce, prickly, and unabashedly herself. I loved her, and I wanted a deeper exploration of her friendship with Mim. I wanted her to be more present. Instead, most of the emotional weight of the story falls on Mim and Court. Admittedly, their Courtship (I swear, I'll stop) is sweet and lovely and full of shoulder grazes, banter, insecurity, and innuendo. It's impossible not to root for them. But there was so much richness in the relationship between Mim and Kali that could have been explored. 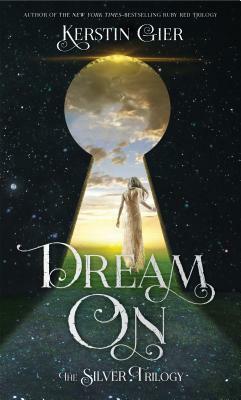 Despite this snag, it's an epically entertaining novel of first love, family, and fate. Stacey's prose is clear and airy, an authentic teenage voice shot through with so many rich descriptions of scents that, even though the perfume part of the book made me wary at first, I was enthralled by the end. You can tell how much fun Stacey had writing this book, and that bubbly spirit is infectious as a reader. It's not as serious and dramatic as her historical books, but it's just as vivid, just as compelling. Read this book and try not to smile. I dare you. The Secret of a Heart Note is a summery romance, light and vivid and enchantingly funny. Sounds like an amazing quirky story. Adding to my wishlist pronto. I haven't heard of this one but OHMAGOSH IT SOUNDS SO CUTE! I reallllyyyyy need to read a book by Stacey Lee ASAP. The cover is adorable too! I really loved this one too. It was much quirkier and cuter than I was expecting it to be, and I fell in love with it!